Citrus desserts are my favorite. Key Lime pies, Lemon tarts, lemon squares, yes please! 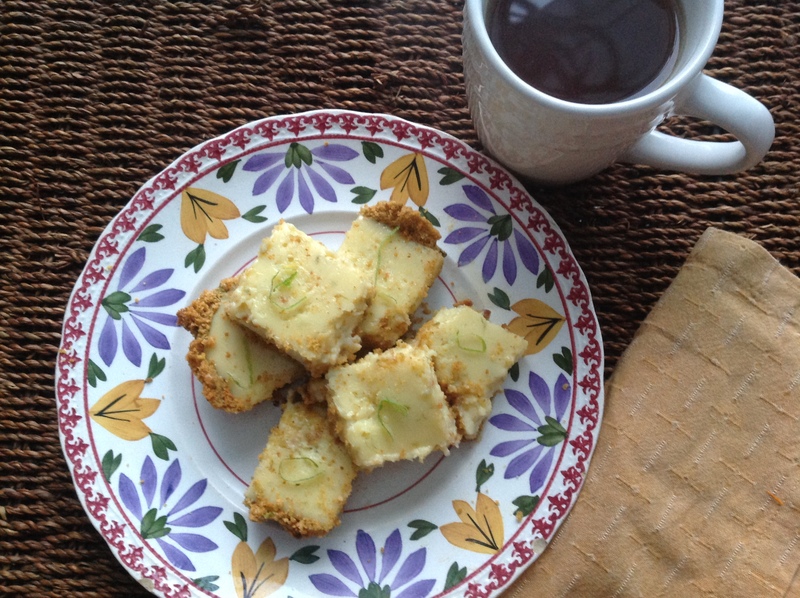 When I came across these lime squares made with a pistachio crust, I knew I’d have to make them. With triple layers of lime flavor, they have a satisfying tartness. Not too sweet with a lovely nuttiness to the crust and a silky smooth filling, they were delicious albeit a bit crumbly. Butter a 9-inch square baking dish. Line the bottom with parchment paper, leaving 2 sides with a 2-inch overhang. In a food processor, finely grind the pistachios with the graham cracker crumbs, sugar and lime zest. Press in the bottom and up 1″ of the sides of the prepared pan. Bake the crust 8-12 minutes until lightly browned. Cool 1/2 hour. Beat the egg yolks, condensed milk, lime juice and lime zest until smooth. Pour into the cooled crust and spread to the edges. Bake 15 minutes. Cool in pan on a rack then chill for at least an hour before slicing with a serrated knife into 16 squares, wiping with a damp cloth after each cut. 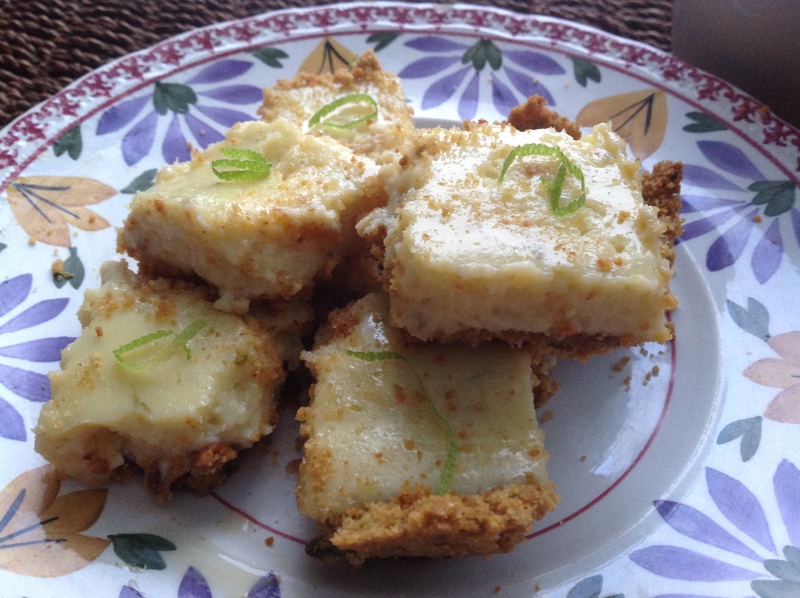 This entry was posted in Recipes and tagged lime bars, lime bars in a graham-pistachio crust, lime bars in a pistachio crust, lime squares in a pistachio crust, martha stewart lime pistachio squares by Johanne Lamarche. Bookmark the permalink.